Everyone should have this powder, including guys (ok, 'some' guys) :) and even the make-up virgins, if only to reduce the sweaty shine and dullness. With this, your makeup won't look piled-on, even after foundation and concealer. It's a hassle-free and no-fuss product which is hard to find fault with. 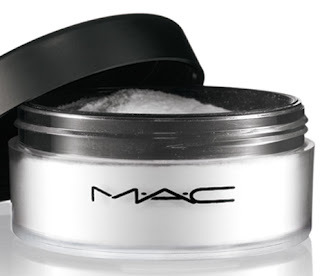 *Tip: Once you peel off the sticker covering the holes, too much of the powder comes out and can easily fly everywhere. I suggest you peel the sticker, cut it in half and then stick it back on to cover half of the holes. This way it's easier to get only as much powder as you need on your brush. Can I use this on top of my eyeshadow to make it last longer? what would be a more economical option ? Applying this on top of eyeshadow would spoil yr application and dull it. I suggest u apply this under yr eyeshadow instead. I will be doing a post on how to make something to make yr eyeshadow last longer in a few days, So check back then.